Orthopedic Surgeon, former director of the Orthopedic Clinic of the General Athens Hospital "Evangelism", President of the National Social Organization of Students. Athens University PhD. He specialized in orthopedic surgery in Great Britain, where he undertook his orthopedic specialty training at the following hospitals: Saint George’s Hospital (London), Notley Orthopaedic Hospital, Ipswich Hospital, Edgware Hospital, Royal National Orthopaedic Hospital. He is a member of the board of directors of the Union of Hospital Doctors of Athens-Piraeus. He is the founder and first president of the National Movement of Young Scientists and a former president of the National Social Organization of students. Born in 1981 on the island of Crete. His parents are doctors with a significant social and scientific presence in his local community. He studied Biology and owns two post-graduate titles (MSc, MPhil) on the field of Environmental Engineering. His scientific research was published in many international scientific magazines (Water, Renewable Energy, Biomass and Bioenergy and more) and he took part in many international conferences on renewable energy sources, waste management and environmental economy. Additionally he worked for free as a researcher in many European programs related to the environment. He also dedicates his time on music and poetry, he has already published his first poem collection and took part in many musical bands and artistic events. Born in 1961 in Athens. He has a degree in Mechanical Engineering and is a certified energy inspector. He has worked on many contractor and research companies and has a 4th class contractor's degree. He is a part of the AIGIS educational institute. He wrote the books "Liberalism: The vicious enemy of the nations" and "An answer for the obsessions of anarchy". An active and devoted comrade for over 30 years. Graphics designer - Member of the board of directors of the Union of Press Technicians of Thessaloniki. Born in 1981 in Thessaloniki. 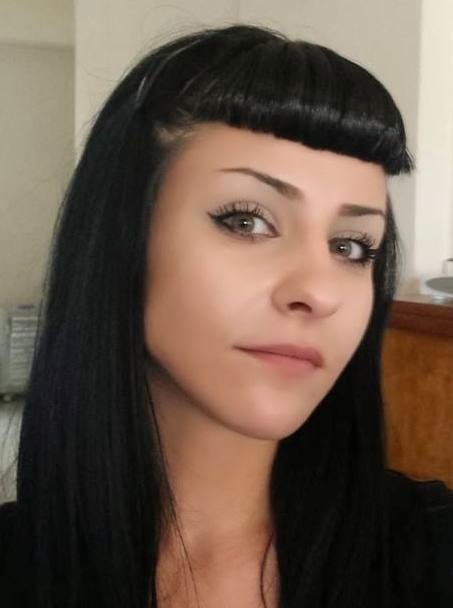 She is a graphics designer and an expert of Computer Sciences. She takes part in Golden Dawn's demonstration from a young age and become an active member in 2000. Linguistics MSc, Professor of French and Spanish Literature. Born in 1984 in Athens. She receives her first degree on the French language from the University of Athens in 2008. She then goes on to get her second degree in the Spanish language from the same university. Today she has a Master's degree in Linguistics and Teachings of the French Language. She speaks fluent English, French, Spanish and German. She has been working as a foreign language professor for over 10 years. He was born in the occupied village of Saint Vasileus of Cyprus. He served on the Cyprian National Guard for 25 months. He studied Law in the Aristotelian University of Thessaloniki and has a Bachelor's degree in International Law. He took part in the elections of the Bar Association of Thessaloniki. 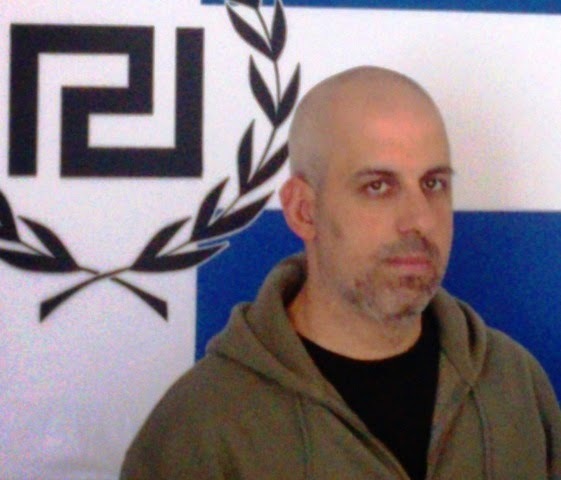 He has been active among Golden Dawn's legal division ever since he was a Law student. Additionally he was an activist within Cyprian student unions and a champion of Enosis. Born in Euboea in 1953. He has graduated the Hellenic Military Academy, the Higher War College and the National Defense School. He also studies at the Advanced Officers Artillery School in the United States and Greece. Additionally he has a degree in Public Law and Political Science of the University of Athens. He speaks both English and French. Born in Athens, 1967. She is a graduate of the Philosophical School of the National and Kapodistrian University of Athens. She worked as a teacher for 22 years, and she is the vice principal of a primary school for the last 4 years. Currently she is completing her postgraduate studies on the field of Psychopathology and Psychotherapy for Adults and speaks English, Spanish and Arabic. She is married and a mother of three. 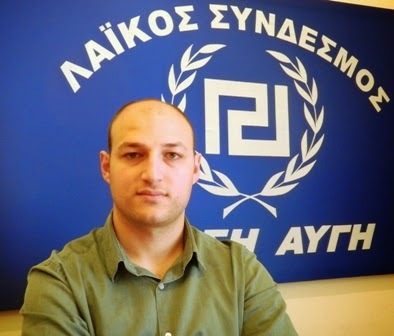 Born in 1979 in Kalavrita and was one of the first political soldiers of Golden Dawn's struggle in the area. At the age of 18 she becomes a mother and devoted herself to her family, which has now grown to 3 sons and one daughter. Additionally, she is active in the field of trading. Born in 1975 in Chania, Crete. Publisher of the "Observer" newspaper and an author for Golden Dawn's newspaper. Married with two children. He is a member of the Central Committee and responsible for Golden Dawn's actions in Crete. He is the father of our fallen comrade, Giorgos Fountoulis, who gave his life for a better future for us. Mr. Lambros thought it was his duty to continue fighting his son's fight until Justice is finally served. Born in 1979 in Athens. He is a graduate of the National and Kapodistrian University of Athens with a degree in Mathematics.He speaks English and German. He is the author of the book "The financial war and its reflections" that was published by the AIGIS educational institute. He is married and has one daughter. 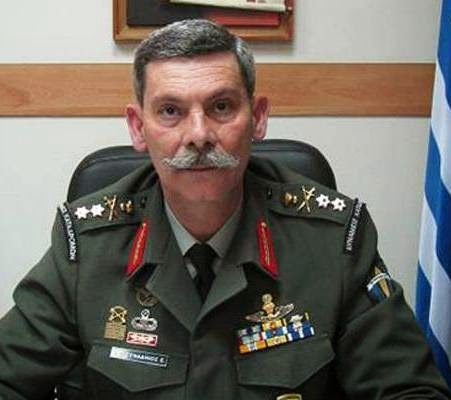 Lieutenant-general, former Director of the Special Forces of the Greek Army. Eleytherios Sinadinos was born in 1955 in Greece. 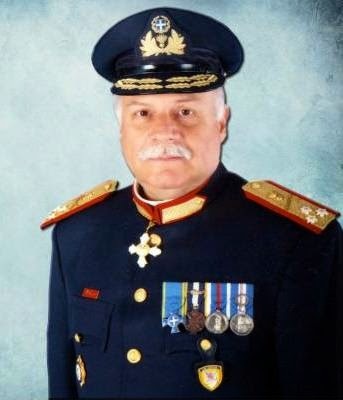 He was admitted in the Hellenic Military Academy in 1975 and graduated in 1979 as a Second Lieutenant of Infantry. From then on he graduated from the Special Forces School of Officers and the National Defense College. He has served in all types of units and has commanded the Special Forces of Greece from the bottom to the top. Born in Libadia, Boeotia from a Cretan father. She studied Legal and Political Sciences in the Kapodistrian University of Athens. She is a member of the Athens Bar Association since 2000. She speaks English, Italian and German. 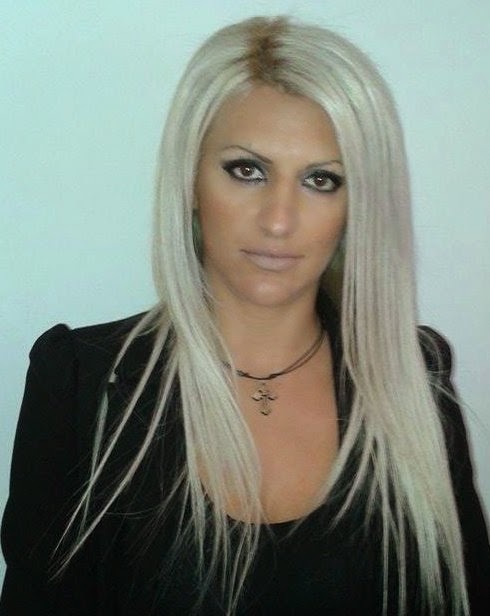 She has been writing for Golden Dawn's party newspaper for the last 4 years. Born in 1967 in Ioannina. He is a resident of Athens and a professional taxi driver for the last 27years. He is the vice president of the LASITA, the Golden Dawn's taxi driver union) and an elected member of the Taxi Drivers' Syndicate of Attica. He speaks English and is married. Born in 1958 in Piraeus. He has degrees in Economics and Computer Sciences and teaches Economics at the University of Zurich. He has been the CEO of Swiss companies for over 20 years. Born in the "anarchist capital" of Exarchia in 1969. She is a graduate of the University of London. Has a degree on the French an English languages. She is married with our jailed comrade, MP Christos Pappas, and is the mother of 3 children. Born in Messenia. He lives and works in Alexandroupoli where he has been a lawyer for the past 30 years. He speaks English, German, French and Turkish. He fought for a national awakening with articles on the local Press regarding the major problems in Thrace and the Turkish Consulate. He was on the most dedicated of the lawyers that defended Golden Dawn from the state's ban attempts. Born in Larissa in 1945. 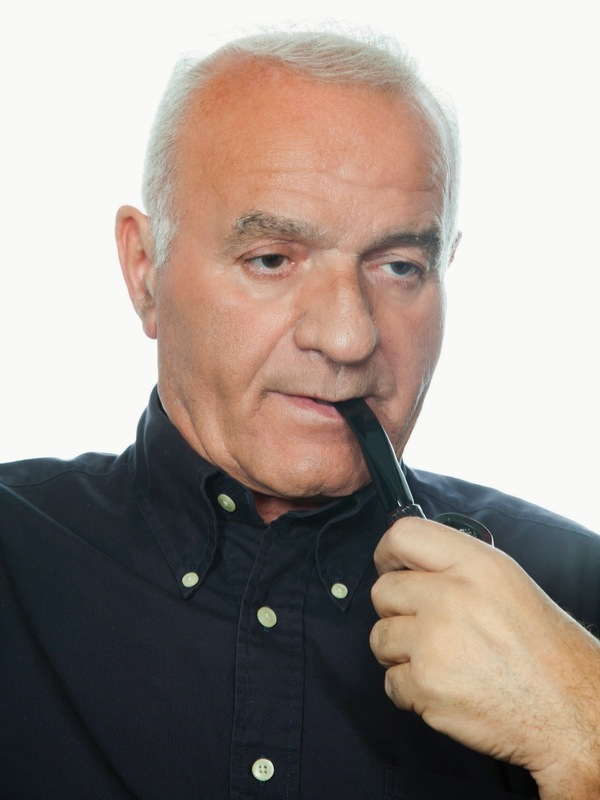 He is married, a father of two boys (both are cardiac surgeons) and has four grandsons. One of his greatest achievements that he is very proud for is that he is the only surgeon in Greece to have performed a septuple bypass in 1996 on a patient that still survives to this day. He is a member of 10 national and international health institutes. She was born in Sidney, Australia in 1964 by Greeks and currently lives in Piraeus. She speaks fluent English and is a mother of three. She works in the Greek private section and owns 50% of a g.p. in the field of tourism. Publisher, Member of the Central Committee of the Golden Dawn. Born in 1977 in Athens. He joined the Golden Dawn in the mid 90's. He served in the Special Forces during the period of '96-'97. He becomes a member of the Central Committee in 2001. He speaks English and publishes books of historical and political interest. Born in 1979 in Athens. A Central Committee member. He regularly writes in the Party's newspaper. The last few year he is the chief editor of our weekly newspaper. Born in Lamia in 1969. He has a degree in Political Sciences from the University of Verona and a degree in Accounting. In the Army he was a reserve Second Lieutenant for the land force. He worked for 10 years as a salesman in Thessaloniki. In 2009 he returns to Lamia and became a farmer. Born in Attica with a Cretan heritage, descending from a family with great military tradition. She studied Aesthetics and Dermatology at the Technical School of Athens and works in the field of Cosmetics. 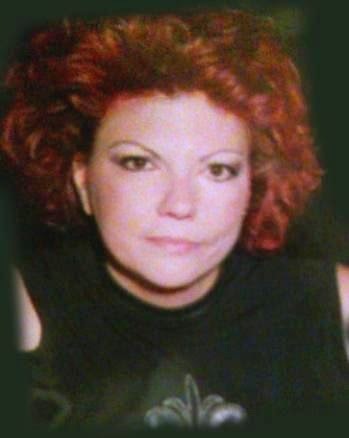 She joins the Golden Dawn in 2004 and ever since she has been a restless activist of the Movement. She is an animal rights activist and fights, among others, for the protection of the natural environment. She speaks French and English. Born in 1975, married with two children. She got her degree in Mechanical Engineering in 2001 and works in the construction field ever since. Her research aims in the development of energy conservation methods. She works as a professor in a technical institute and as a security expert for private companies. Born in 1972 in Thessaloniki. He graduated the Theological School of the University of Thessaloniki and has a Bachelor's degree from the Catholic Theological School of the University of Strasbourg (with a scholarship from the French government). In 2002 he gets his Law degree and starts his career as a lawyer in 2004. He also is an instructor of legal and political sciences. He speaks French and English. Born in 1972. He graduated the Civil Engineering School of the Aristotelian University of Thessaloniki and works in a technical office. Married with two children. He speaks English, German, French, Serbian and Croatian. 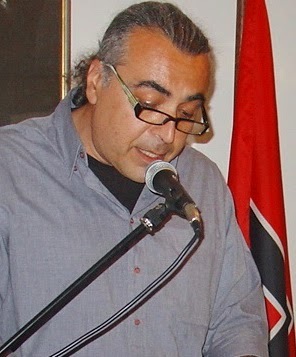 An active member of Golden Dawn since 1993. Born in 1973 in Thessaloniki, married with two kids. A member of the Bar Association of Thessaloniki and a graduate of the Law School of the Aristotelian University of Thessaloniki. He is one of the founders of the NLM, and caused panic among the ranks of the lawyers that serve the government. Good luck from Australia the count down is on, cant wait for the local and eu elections. Looks like a great line up! This is truly a battle to save the Greek people. A very respectable line-up. Good luck GD. Your struggle is our struggle. Hail Victory! Outstanding men and women you have Golden Dawn! Best of luck and blessings to you brave heroes! Your forefathers must be beaming with pride as they watch you fight against evil and degeneracy, to preserve your incredible nation! Hail to you Golden Dawn! The winds of change are upon us. Hail Golden Dawn! Hail Victory! Good luck to all the candidates where Golden Dawn leads the way Europe will follow . ''Together we stand, divided we fall'' in the name of a New Europe. Greetings from Greek Americans in middle America. No matter the outcome in elections, many thanks to you all for courage and standing up for our people! You are all winners already. Is posible to vote him in Spain? 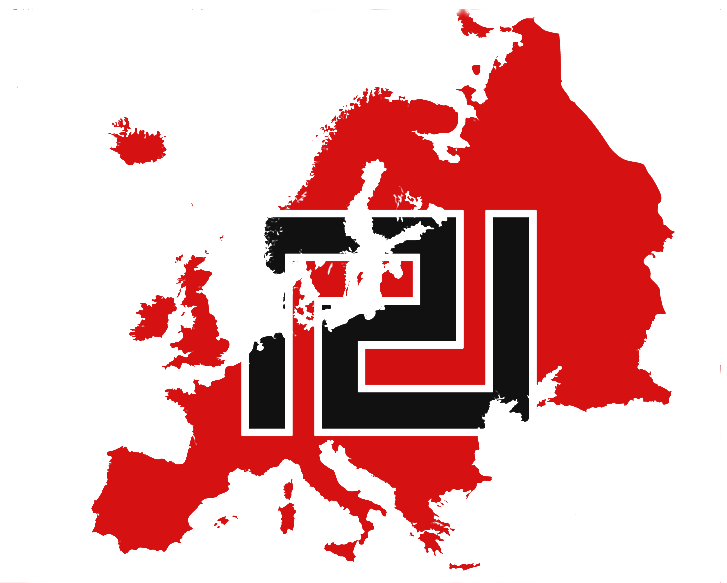 I'll visit Greece during the European elections and I want to enjoy of one political meeting of Golden Dawn. Can you say me days and locations of Golden Dawn meetings in Athens? The events for those dates still aren't declared, we will know in few days. Mail us at GoldenDawnNewsroom@gmx.com for more information. Makes me happy to see that there are so many well-educated candidates among our European comrades. Europe 4 Native Europeans! Europeans need to fight united as one! Against Chauvinism and Liberalism! Greetings from Germany. Australian here, good luck to you all!